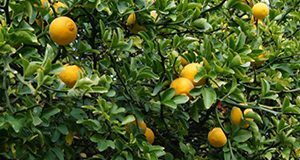 Citrus greening, or huanglongbing (HLB), is a bacterial disease that affects citrus trees’ vascular systems, limiting nutrient uptake. As trees become increasingly affected by the disease, they suffer premature fruit drop, the fruit harvested is smaller and misshapen, and the juice quality is compromised, all resulting in lower yield. To this date there is no cure or successful management strategy to deal with HLB. This 8-page fact sheet written by Ariel Singerman, Marina Burani-Arouca, and Stephen H. Futch and published by the UF/IFAS Food and Resource Economics Department summarizes the results of an analysis of three tree densities under different production and market conditions to determine which density is most profitable. While the Florida peach industry is small, it has experienced significant growth in recent years. This 20-page article written by Ariel Singerman, Marina Burani-Arouca, and Mercy Olmstead and published by the Food and Resource Economics Department summarizes the establishment and production costs as well as the potential profitability of a peach orchard in Florida. It includes an enterprise budget, estimates of potential revenue and undiscounted cash flows for different combinations of prices and yields, and an investment analysis. 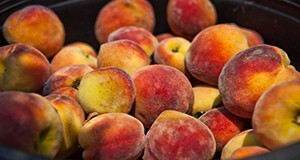 The information in this article should be relevant to both current and potential Florida peach growers. 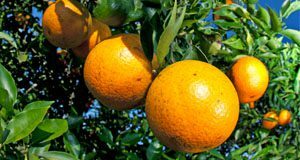 New exotic diseases (citrus canker, HLB, and citrus black spot) have sharply increased the real cost of production of citrus in Florida. Growers have been applying different management strategies, and more effective treatments are being researched. The costs and benefits of these alternatives will need to be quantified to establish their economic feasibility. This 5-page fact sheet written by Ariel Singerman and Marina Burani-Arouca and published by the Food and Resource Economics Department focuses on the costs of managing exotic citrus diseases as they become endemic or established within a citrus industry, with Florida used as an example. The steep increase in the real cost of production of citrus in Florida from 2003/04 to 2014/15 provides evidence that managing endemic exotic diseases is very costly for growers, even without taking into account the effect those diseases have on yields. Therefore, governmental policies focused on preventing the introduction of additional exotic diseases would be highly beneficial for citrus growers and the Florida citrus industry as a whole. The United States is the world’s largest producer of blueberries. 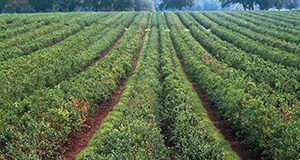 Florida’s blueberry production represents a small fraction of total US production, but blueberries are nevertheless an important and valuable crop in the state because Florida growers benefit from the nation’s earliest market window. In fact, the average price for blueberries received by growers in Florida during the last three years was 2.5 times the US average. This 15-page fact sheet written by Ariel Singerman, Marina Burani-Arouca, Jeffrey G. Williamson, and Gary K. England, and published by the UF Department of Food and Resource Economics provides a summary of the enterprise budget developed for highbush blueberry production in Florida. The budget represents a typical operation and serves as an economic benchmark for growers, providing estimates of expenses and potential estimates of revenue and profit for a blueberry crop to help current and potential blueberry growers make informed decisions about blueberry production. 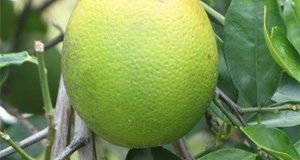 A survey of Florida citrus harvesters was conducted in July 2016 to collect data and estimate the harvesting charges to Florida citrus growers during the 2015/16 season. This 5-page fact sheet written by Ariel Singermam, Marina Burani-Arouca, and Stephen H. Futch and published by the UF Department of Food and Resource Economics presents the results of the survey, summarizing the harvesting charges for citrus during the 2015/16 season and documenting the changes in harvesting costs as the impact of HLB increases across the state. 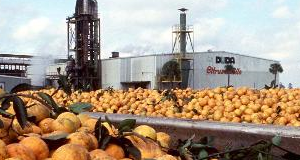 The estimates presented provide the basis for computing on-tree prices from delivered-in prices, thus allowing the computation of the change in citrus growers’ economic returns as the industry adapts to remain profitable. Replacement of diseased, unproductive or dead trees is an important part of the cultural program for citrus groves. This five-page fact sheet uses prices and productivity rates collected through a telephone survey in May 2016 to analyze the different preferred management and reset practices. Written by Marina Burani-Arouca, Stephen H. Futch, and Ariel Singerman and published by the Food and Resource Economics Department.